Panaji, Nov 15 (IANS) Goa Tourism Minister Manohar Ajgaonkar accused a private beach management agency of discontinuing its beach cleaning services when the tourism season is just about gathering steam. The agency in question, Drishti Marine, has however maintained they had stopped the cleaning up of beaches, after their work contract with the Tourism Ministry ended earlier this month. "The Department of Tourism will work out solutions within a day or two and cleaning of important beaches will be undertaken on top priority immediately," Goa Tourism Minister Manohar Ajgaonkar said in a statement issued here on Thursday. He also said that a tender had already been floated for appointment of a new beach cleaning agency. For now, Ajgaonkar said, labourers would be deployed on the state's important beaches to clean-up the debris on the sand stretches, which are immensely popular with tourists. Ajgaonkar also said, that it was "unfortunate that the agency (Drishti Marine) withdrew (their services) at a time when the tourism season is at its peak", adding that tourists visiting the state during the seasonal months will be able to enjoy clean beaches, despite the hiccup. Goa's tourism season starts in October and lasts till March and peaks by December end. 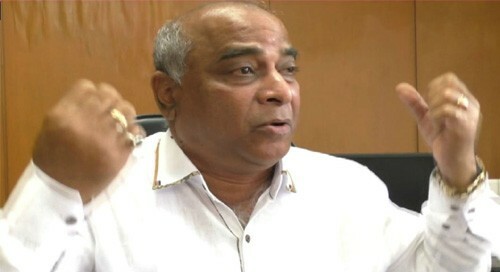 Reacting to the charge levelled by Ajgaonkar, Drishti Marine, which also manages lifeguard services on Goa's beaches, in a statement, said the agency's contract for cleaning of beaches ended on November 12 and that it had informed the Department of Tourism about the expiry of the contract a month in advance. "Drishti Marine is committed to ensuring a positive beach environment. However, it was not possible to maintain the large workforce and fleet needed to run the entire service without clarity as our contract had ended," the agency said in a statement issued here late on Thursday. Drishti Marine was awarded the work for beach cleaning by nomination from the state government on an emergency basis in December 2016, as garbage was piling up on the beaches of Goa. "Drishti has successfully completed 23 months of cleaning services and uplifted 2,800 tonnes of waste, segregated them and handed over the same to the Goa Waste Management Corporation plant as per specifications," the statement also said. Goa's beaches and its night-life annually attracts nearly eight million tourists, however garbage piling up on its beaches in recent years had been a cause for concern and had led to the appointment of a private agency to keep Goa's beaches clean and garbage free.